Versatile soup with lots of flavor from roasted veggies that can either be made deliciously fatty (aka fat bomb) for those on keto, low fat, or somewhere in between. 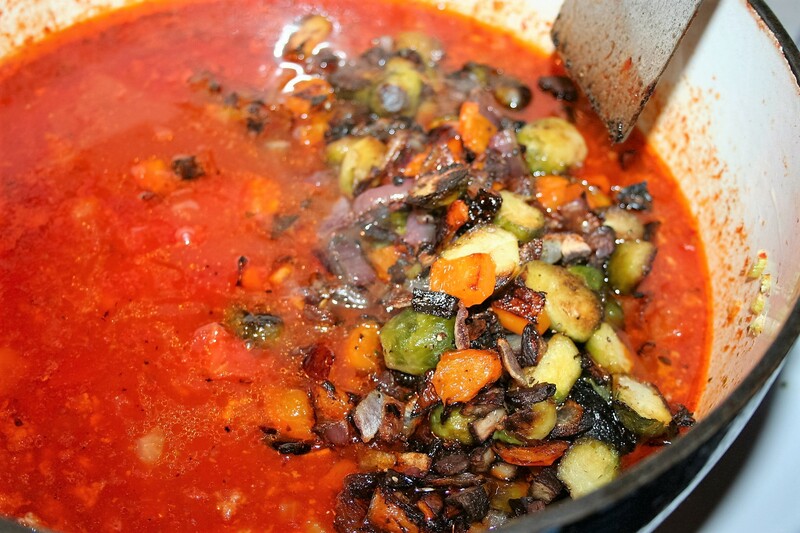 Today’s recipe is a wonderful soup that has lots of flavor added by roasting veggies. The first time I made it, I didn’t have any brussels sprouts and it was good like that as well. This time I had some frozen brussels sprouts to use. 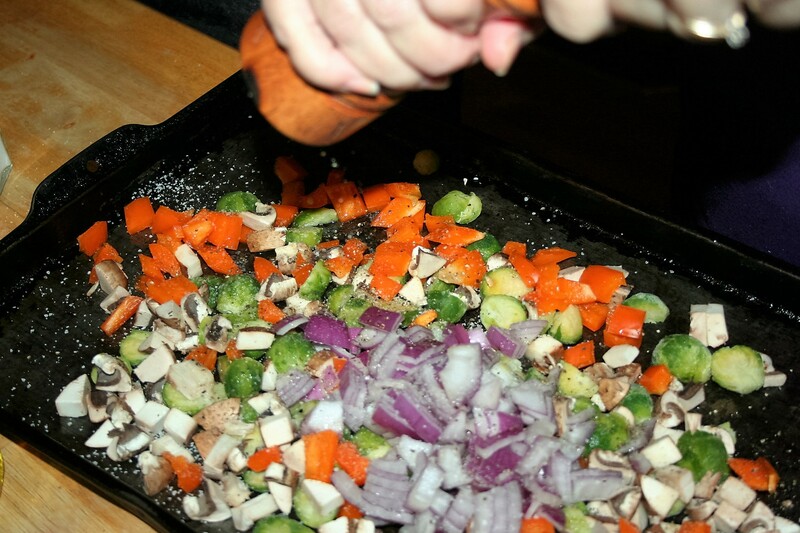 You can eliminate whatever veggies you want or substitute veggies. But this combination was really good. 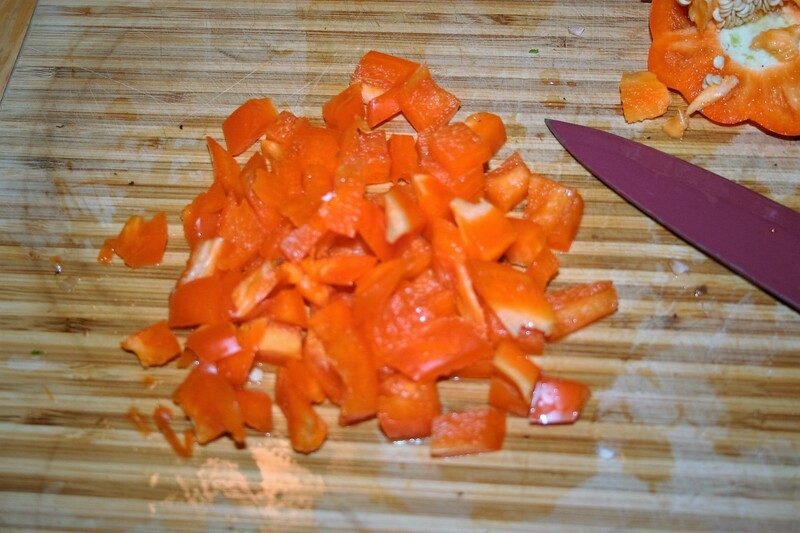 There’s a lot of chopping to be done, so be sure to give yourself enough time to do so. 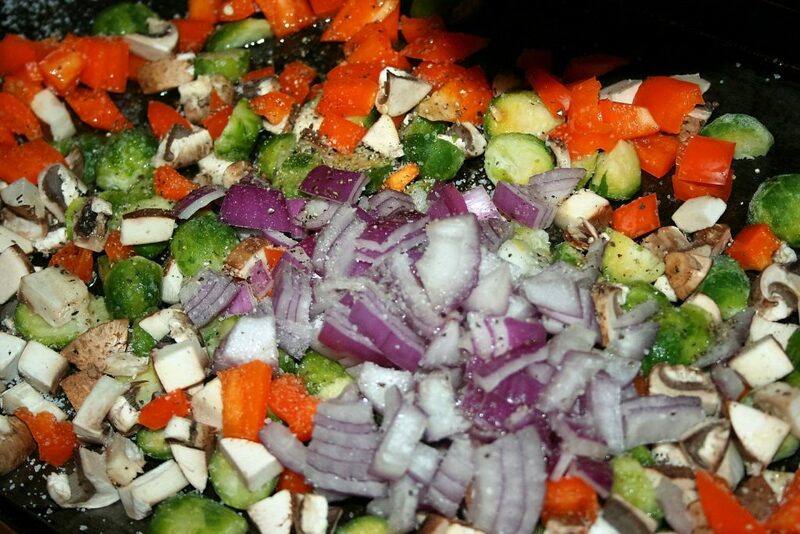 If I were smart, I’d chop the veggies earlier in the day, so I don’t have to be concerned about time. 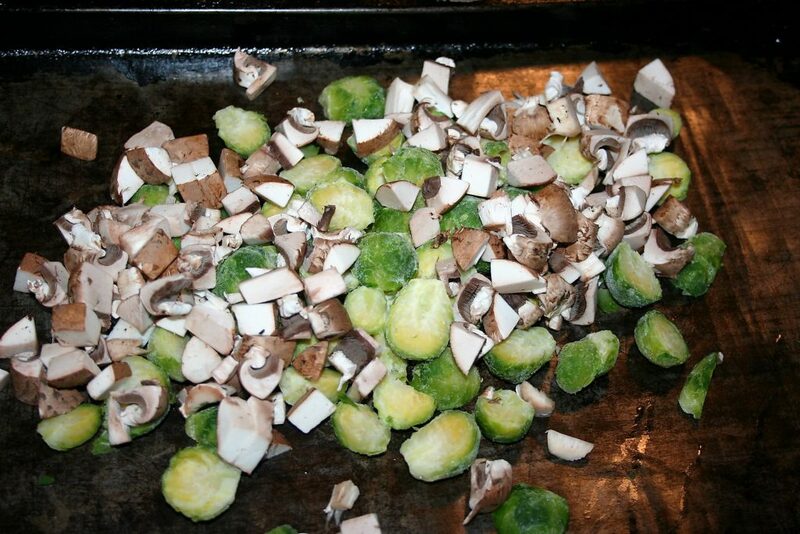 We don’t like big crunchy veggies in our cooked food, so it takes me a little longer. Begin by preheating the oven to 350º. Cut the brussels sprouts in half or even quarters, if they are large. The ones I have today are small so I only cut them in half. Dice mushrooms into large pieces. I used about 6-8 mushrooms. Dice a large bell pepper. I like the yellow or orange because they add a little color contrast and different colored foods have different nutrients. I got a good deal on the mixed color peppers, so I used an orange one today. I cut it into about the same size chunks as my mushrooms. Dice about 1/3 of a medium large red onion. Combine these four veggies on a rimmed baking sheet. Drizzle with melted coconut oil, olive oil, or oil of your choosing. Season with salt and pepper. Mix them up and spread the evenly on the pan. Roast for 25-30 minutes. Remove when they are as cooked as you like them. Meanwhile, brown your ground meat over medium low heat. 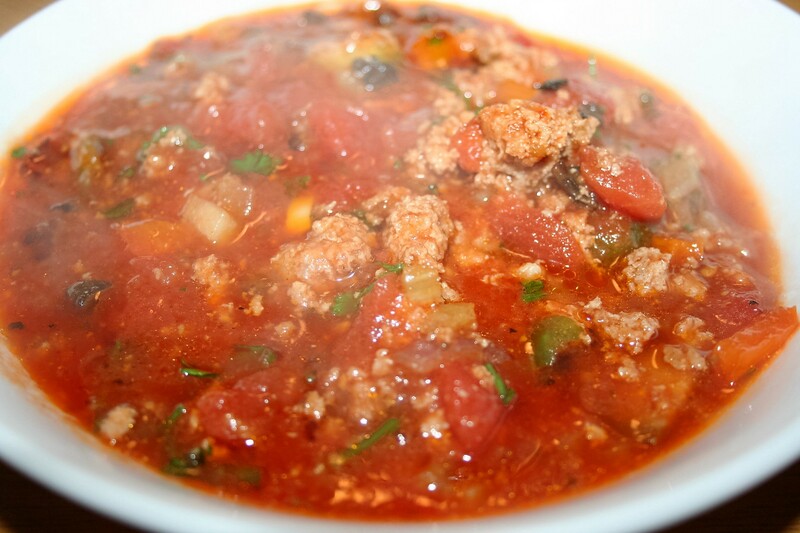 We used ground turkey which is leaner than ground beef, so we added a bit of coconut oil to it as we cooked it. While that is browning, get to dicing the celery. We dice our celery pretty finely. Once again, we don’t like crunchy veggies, so these are rather small. Also mince the garlic. Add the celery and garlic to the cooking ground meat. If you are on keto, do NOT drain the fat. You may even need to add a little if you used a lean meat like we did. Once the celery is pretty well cooked, add the broth, tomatoes (which we will puree next time with the hand blender before adding because, we don’t like chunks ), tomato paste, oregano, bay leaf, and either cayenne or chili powder. Stir in the roasted veggies and chopped parsley and serve. 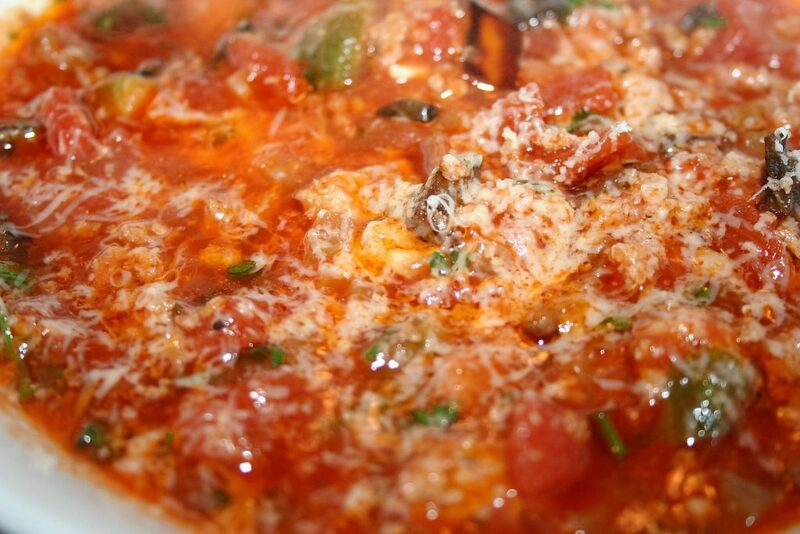 And because everything is better with cheese, I added just a bit of freshly grated Parmesan on top of my bowl. 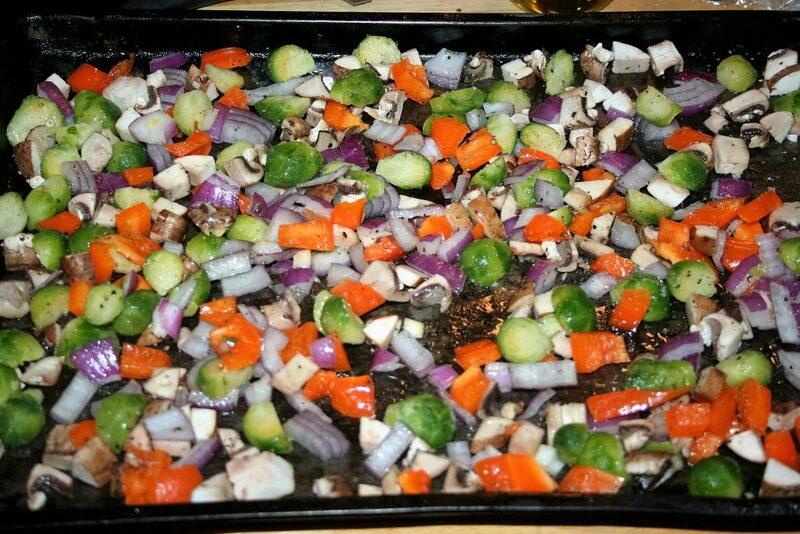 Combine brussels sprouts, bell pepper, red onion, and mushrooms on a rimmed baking sheet with oil, salt, and pepper. Roast for 25-30 minutes, stirring after about 15 minutes so they don't brown too much on one side. 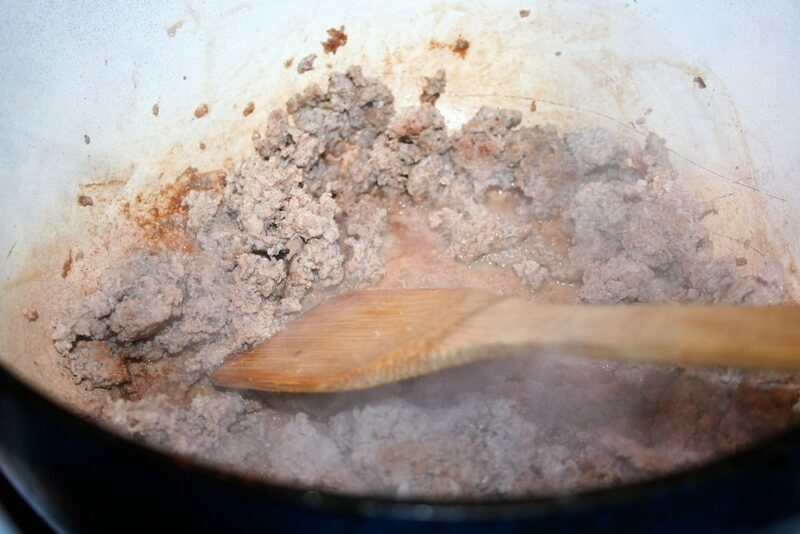 Brown ground meat in a dutch oven or large pot, over medium low heat. 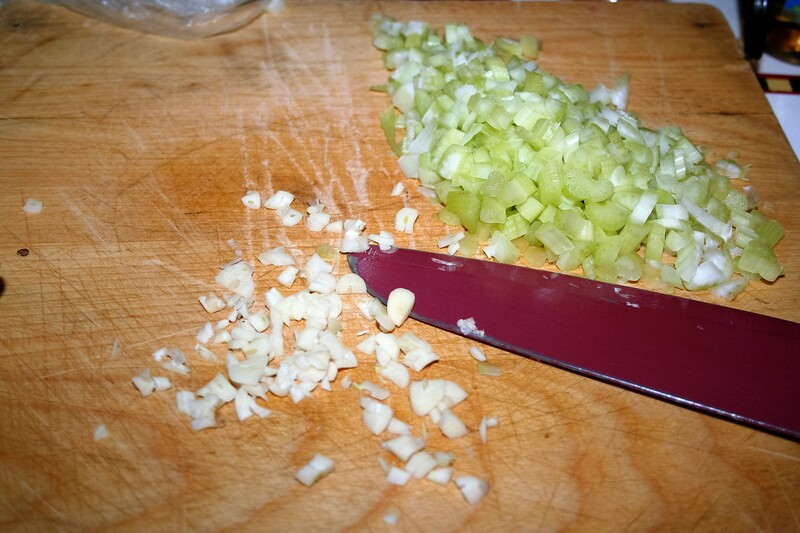 Add celery and garlic, cook until celery is softened. 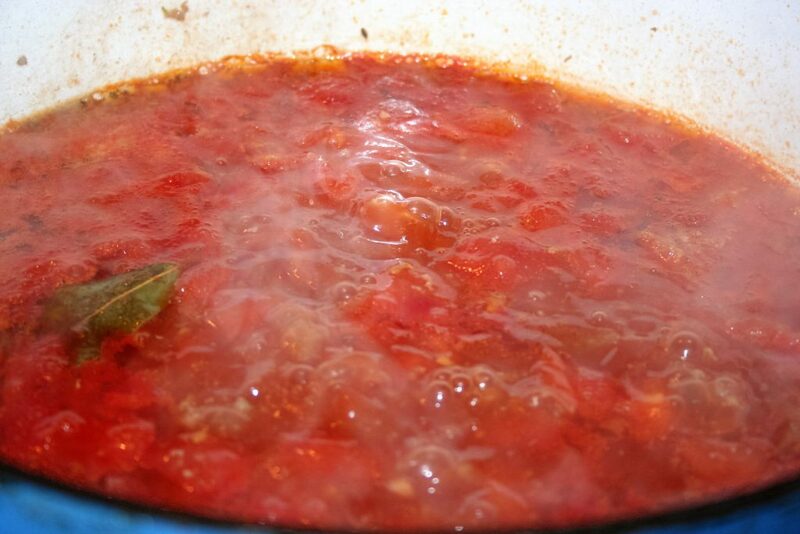 Add broth, tomatoes, tomato paste, bay leaf, oregano, and cayenne or chili powder. 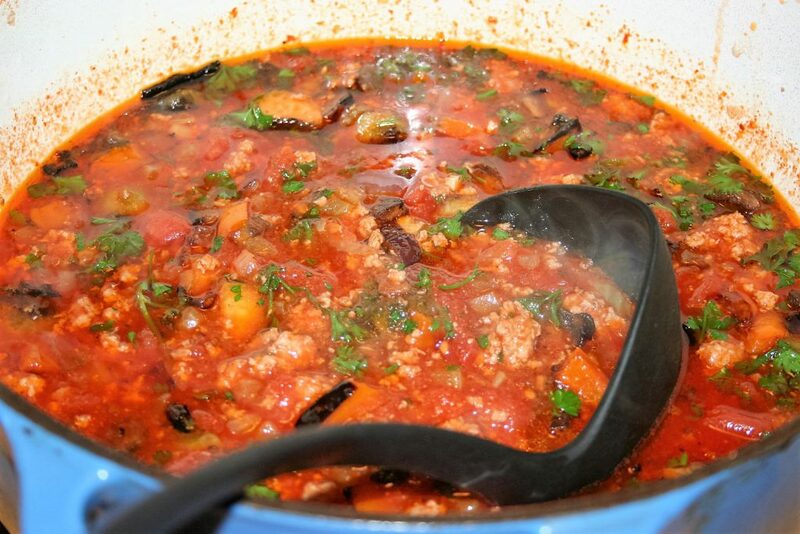 Reduce heat to low and simmer for 15-20 minutes. Add roasted veggies and chopped parsley.